Mark has been a Non-Executive Director of Agora Group since 2014 providing corporate advice on global strategy, financial taxation and planning as well as legal, accounting and corporate governance. As an executive of several start-ups, Mark leverages his twenty-six years’ of banking experience and track record of profitable growth to offer advisory services to the Retail and Consumer industry. 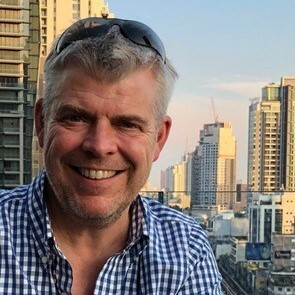 As the founder of investment consultancies, Avla Ltd and DMC Ltd, Mark was instrumental in the turnaround of Trollbeads UK and, over a five year period, offered investment advice to an online sporting business that resulted in 10x market cap growth and the eventual acquisition by a mainstream global retailer. Mark is a Financial Representative of UBS Investment Bank where he established a successful career over twenty-two years, managing a team of twelve and consistently delivered profit growth year on year.